Like most schools, Prishtina High School has a couple of weeks off over the holidays. Since the day I arrived, I’ve had people ask me if I would be traveling home for Christmas. I made that decision before I came to Kosovo. I know myself. I made a commitment to the school. Going home would be fun but seeing my family may make it difficult to return to my teaching. I would return. I know that. But I may do it under duress. All it would take would be one of my grandchildren begging me to stay and I would feel like a heel for flying off again. Already, my four-year-old granddaughter asks me to come home every time we talk on the phone. Many of my school friends planned trips for Christmas. I wasn’t sure who would be around so I formed a plan. For my own good mental health, I planned projects I wanted to complete over the winter break. The list was much too long, so I pared it down to four projects I need to complete: Two for the school, one book to read, and a writing project. The two I’m working on for the school involve other people who are in town so we arranged a day to knock those out after Christmas. Of course, I have a few things I’d like to do for my class. Teaching when you feel prepared always makes for a better January. But those can wait until just before school starts again on the ninth. With much to do, I figured I’d sail through the holidays. You see I had a plan. Then a wise man …this time from the west… arrived bearing gifts. Not many, just one from each of my daughters and one from my mother. Small gifts he could stuff in his backpack. Small wrapped packages to place under my tree along with a few gifts from students. This was NOT part of the plan. I’m being honest here. I wasn’t sure what to do. To me, opening gifts from home all alone in my apartment sounded sad. Pitiful. I don’t want to be either. I thanked Dave for delivering the gifts, emailed my family thanking them for their thoughtfulness and then walked around the apartment trying to figure out what to do. I shared my plight with another woman who suggested we could open gifts together…as soon as and if her package from home is released from customs. I considered trying to get my family all together on Google Hangouts so we could talk and sing and open gifts, but the chances of that happening weren’t likely. I fretted over the situation. I prayed about it and finally decided I’d simply leave the wrapped packages there until I was good and ready to open them. Even if it meant months. I know this sounds silly. Even as I type it I wonder at how I stressed over something so trivial. But I did. I have no answers and offer this blog post in hope it will ultimately serve someone else. Dave gave me the gifts on Thursday evening before Christmas. I worked a bit on Friday at school and had lunch with our first grade teacher and her husband. I ignored the presents under the tree. Saturday I went to the opening and dedication of a new church in Pristhina (Very cool.) It was as much a dedication as it was a celebration of freedom of religion in Kosovo. The music was beautiful. 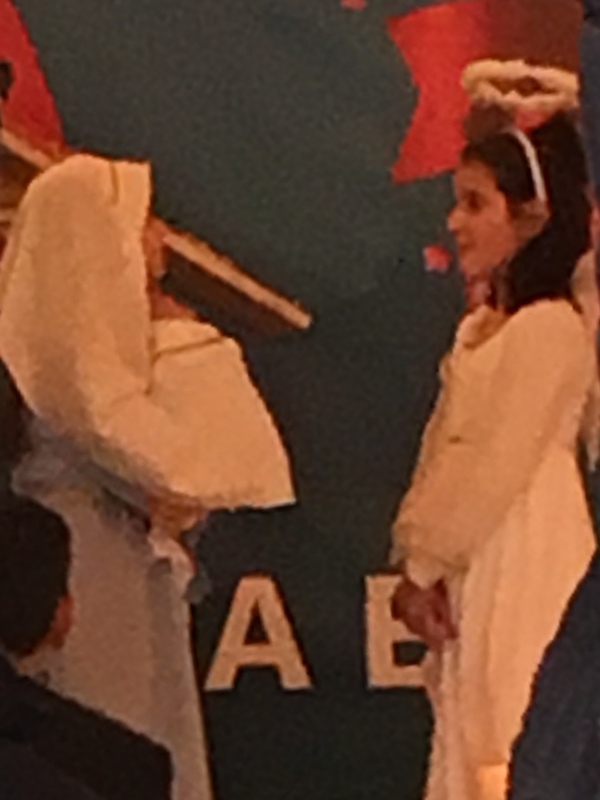 I loved hearing “Mary Did You Know” in Albanian and the children acting out the story of the birth of Jesus were adorable. There were over 300 people in attendance. It was quite an event. I returned home several hours later and managed to ignore the gifts under my Christmas tree. Sunday, Christmas Eve Day, was wonderful. I went to church as usual, but then we all went out to eat as a church family at Hotel Sirius. Their food is delicious and the view from their rooftop restaurant is spectacular. I left for church a little after ten in the morning and returned home around five in the afternoon. No time to worry about gifts or anything. I took a nap. Then, late that evening, something wonderful happened. That Christmas spirit filled my apartment. I turned on some Christmas music complete with a crackling fire on my computer. I fixed myself dinner and began singing along with the carolers. I could picture them gathering on a snowy street corner singing just to me over the internet. I looked at the collection of wrapped presents. Opening one from one of my students wouldn’t hurt anything, right? And then another. And just one more. The carolers were in full swing now. Tentatively, I reached for one of the gifts from my family. My mother sent me a pair of tech friendly gloves. “I was just thinking this afternoon I need to get some of those!” I cried out loud. I tried them on. I swiped my phone. They were the perfect gift. Okay…one more. But you already know where this is heading. Allison, my oldest, had a calendar made for me with pictures of my family. Perfect! Danielle went to the Jelly Belly factory and bought me a full bag of my favorite popcorn flavored jelly beans. Perfect! Kendall sent me a palm tree necklace. (If you want to know why this is so special, clickhere.) Perfect! I opened each gift and danced around like a child. There was nothing sad or pitiful about it at all. But isn’t that the story of Christmas? The gift was delivered and it’s all about when we are ready to receive it. The only sad and pitiful part, is not accepting it at all. Kosovo, Chapter 4, Scene 3 A Palm Tree Kind of Christmas...In Kosovo? December 18th was my wedding anniversary. My husband and I would have been married forty-six years. Sounds like a lifetime to most people I talk with these days. Turns out…it was. Tom died three years ago from injuries he sustained in a bicycle accident. Many of my readers know that. What you may not realize is that he died only weeks before our wedding anniversary. But this isn’t a story about loss. It is a story about gain. About resiliency. A story about love, and care, and friendship. A story about connecting. Three weeks after Tom’s death, my oldest daughter and I went to a “grieving through the holidays” session at a local church. A woman there offered to pray with us. We held hands and she prayed. As she neared the end of her prayer, she asked God to bring an image of a palm tree to us whenever we were hurting. Allison and I glanced at each other. A palm tree? Even the woman who prayed couldn’t tell us where that came from. We got in the car and laughed out loud. A palm tree? How silly. Allison told her sisters about our experience and for Christmas that year my tree was decorated with a wide variety of handmade palm tree ornaments. Okay, a few looked more like telephone poles, but the sentiment was there. A strange thing happened. Palm trees seemed to show up everywhere. We didn’t take them as “a sign” or anything, but they were certainly great conversation starters. Then a year and a half ago I heard a message about the palm tree. The minister said we need a “palm tree kind of faith.” I grew up in Florida. I knew what he meant. A palm tree is deeply rooted. It has an almost cable-like network for a trunk. When hurricanes come through Florida, it’s not unusual to see a palm tree bend almost completely over in the high winds yet never break. That’s the message of the palm tree. We need to be deeply rooted in the Word and we need to be strongly connected to others who believe. Then when the storms of life come at us, we bend but we don’t break. have embraced me with such a fierce love, I never feel alone. So what does this have to do with Kosovo? That first year after losing Tom I recognized our anniversary by having some of my dearest friends over to Christmas carol at my house. Now it is a tradition. My friends have been there with me through so much and I love them. This year I received messages from some of my American friends along with emails and texts from my family as that special day drew near. They were quick to connect because I am living in Kosovo now, some 6000 miles from home. I wasn’t sure what I would do on December 18th this year. In the end, I decided to keep the tradition. I opened my home to some of my newfound friends. These precious people have embraced me with such a fierce love, I never feel alone. My friend brought her cello. We all sang and laughed and ate the evening away. I shared with my friends the story of the palm tree. And I shared with them the newest ornament for my collection. Grace made this ornament for my tree. One made by my friend and colleague, Grace. just in time for the party! What a blessing. Of course he's here to see his family, but the timing was perfect. Dave has yet to miss one of my caroling parties! I teach fourth grade at Prishtina High School in Kosovo. Most Americans I talk with fall into one of two camps. Either they think of Kosovo as a war torn country or they have never heard of the tiny nation in southeastern Europe. The beautiful capital city of Prishtina with its cosmopolitan feel doesn’t look like a war torn city, but the hearts of the Albanian Kosovars whose roots run deep in this region bear the scars of war. The war is part of their family history. Despite its tone, this story isn’t about the sacrifices of the past. It is about the leaders of the future. My class. The children in my class amaze me. They are industrious and smart. They love to learn. They are nine and ten-year-olds who can speak, read and write in at least two languages. They are deep thinkers. Every afternoon I read aloud to my students. 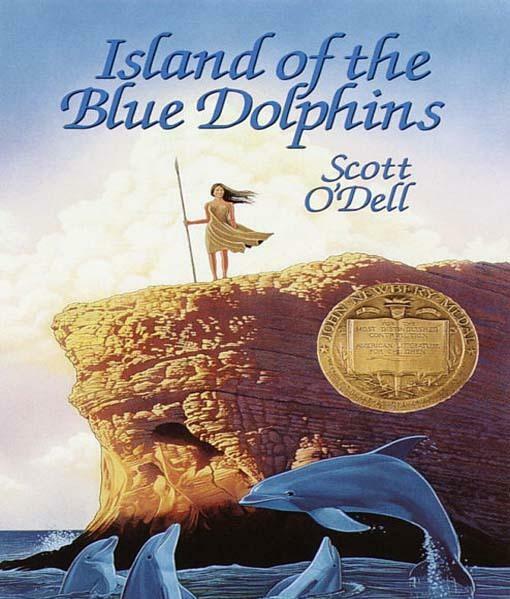 I started the school year reading Island of the Blue Dolphins by Scott O’Dell. My fifteen fourth graders listened intently each day to the events surrounding a young girl (Karana) left alone to survive on the island shortly after a battle with the Aleuts leaves the islanders devastated. When the Aleuts return several years later, a girl with them wants to befriend Karana. As we finished the chapter, my students started talking about trust. They also started talking about fighting and wars. The class discussion turned to differences between the Albanians and Serbians. The conclusion was that “not all Serbians were bad people.” They asked me to reread the opening chapter of the book to determine exactly what was said and who started the fight on the island beach. In the end, they decided Karana should take a chance and trust the Aleut girl. Only then were we able to move on with our reading and eventually finish the book. 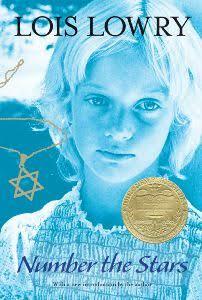 Now we are reading a book called Number the Stars by Lois Lowry. This book takes place in Denmark during WWII when Nazi Germany occupied the small Scandinavian country. My students knew little about World War II and Adolf Hitler. I gave them a brief introduction but on their own they researched more about the time period. I told you they are amazing. They all had questions. It was Thursday so I worked hard to prepare my lesson for the next day to address some of their questions. December 7th. Pearl Harbor Day. After a discussion of WWII and Hitler and Kosovo and Serbia, my students thanked me for being an American. While I appreciate their love, I suggested it might be more appropriate to thank those responsible for making the decision to take a stand for Albanian Kosovars. They started writing letters to Bill Clinton. They know quite a bit about Mr. Clinton. Prishtina has a street named for him and a statue of him at the corner. As I said, this story is about the leaders of the future. I continue to have new and interesting experiences here in Kosovo. For example, I was invited to an event known as the Ballo Shqiptare. Don’t worry. I couldn’t pronounce it either. A lot of famous people attended. I didn’t exactly know what it was, but I could tell by the invitation it was a very special affair. One of the organizers is the mom to one of my fourth graders. She also happens to be a former Miss Kosovo and fairly well connected in the social and political realm. Of course if you met her you would only recognize her beauty, both inside and out. She’s a humble and sweet woman. I was honored to be included. As I said, I could tell it was a classy event… meaning I probably needed to get a new dress. And shoes. My friend Valmire said the Ballo was “fancy-fancy.” Her dress was a long evening gown and she already had plans for the hairdresser. My friend Grace agreed to take me shopping. This turned out to be an event in itself. We started by going to the “fancy-fancy “ store for an appropriate gown or, as I decided, at least a nice dress. Grace planned to wear a shorter dress along the lines of what I would call church finery so I was totally ready to find something similar. I was prepared to shop. I had to be. This was Friday night and the gala was on Saturday. It turns out shopping in Prishtina is a bit different than what I’m used to in America. The shopkeeper and her assistant picked out several dresses for me then followed me into the dressing room where the assistant literally dressed me like a porcelain doll. She placed very high heels on my feet (the backs cut out so anyone could try them on) and escorted me out to the viewing area where Grace grabbed my hand to keep me from falling over. I turned to the mirror to see an ill-fitting dress hanging on my wobbling frame. “Beau-ti-ful, Madame! Beau-ti-ful!” The shopkeeper exclaimed. I shook my head no and wobbled back to the little room where the assistant proceeded to do the doll thing again, shoving my arms into another ugly garment. “Beau-ti-ful Madame! Ah! Beau-ti-ful!” She turned to Grace and told her in Albanian about the high quality of the fabric. We said we needed to leave but at their insistence I was the stiff doll model to two or three more dresses. And they were all “Beau-ti-ful!” I was just happy to finally get out without breaking my neck parading about in the high clunky heels. We found our way through several more shops. Our persistence paid off and by the end of the evening I had a suitable, though not so fancy dress, jewelry, and shoes. All ready, right? =Rolling my hair in rags! Wrong. Saturday morning looked promising until the electric went off. I didn’t know where to go for a hairdresser and without internet I couldn’t search for a place. By the time the power came back on three hours later, I had a new plan. I’d curl my hair myself. The only problem was that I have no curlers and no curling iron. When I was a little girl, my mother used to roll my hair with socks. I pulled out my skimpy supply of SmartWool socks. Nope. Not gonna work. So I did the next best thing. I cut up an old pillowcase I brought with me from the States and “rolled” my hair. My friend Jill helped me calm down some of the crazy wild curls and by the time my friends picked me up, I was feeling downright fancy if I do say so myself. The event was everything…no, more than I hoped for. It was a celebration of Kosovo’s rich culture. Musicians, artists, dancers, singers, members of Parliament, people with embassy connections, high society, and a few smiling teachers from Prishtina High School enjoying traditional foods, music, and folk dancing. I even managed a “selfie” with the prime minister of Kosovo. The whole evening was indeed “Beau-ti-ful!” But maybe pictures say it best. Friends from PHS...hey we clean up pretty good, right? Traditional dancers take a break to eat. Traditional musicians and singers performed.